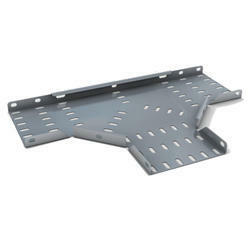 We supply high quality Tee Joint Cable Trays, which have long functional life and exhibit efficient performance. Our tee joint cable tray are useful to connect pipes of diverse diameters. These easy operational joints are used in different industrial applications for changing the pipe run direction. We are a unique name in the industry to provide our precious clients an exclusive range of Cable Tray Tee. Offered product is precisely manufactured by our adept professionals using the best grade raw material and advanced techniques. Owing to its durability and optimum finish, this product is highly demanded among our clients. Backed by a competent team of professionals, we have been able to offer a high quality array of Tee Bend Ladder Type Cable Tray. Our offered cable tray is manufactured as per the globally accepted norms of quality. We use supreme quality raw material in the manufacturing process to make it of international quality standard. We also provide an entire range of Cable Tray Tee. 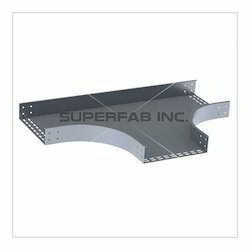 We introduce ourselves as leading organizations in offering Cable Tray Tee. We offer Cables Tray Tee to our clients. We are engaged in providing a wide range of Perforated Cable Tray Horizontal Tee to our customers.